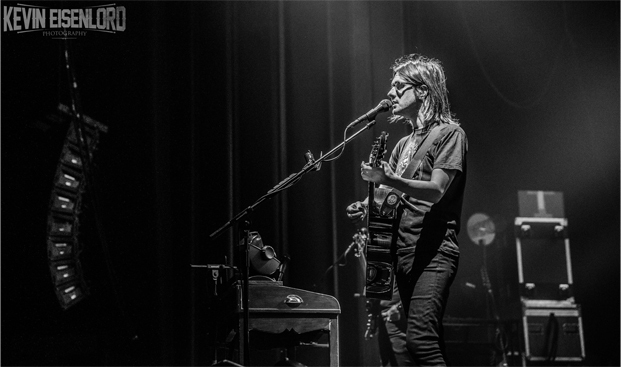 During the past 30 years Steven Wilson has proved on many occasions that he creates music that is creatively challenging, but also essential for his fans. His latest studio album is this year’s “Hand. Cannot. Erase,” an album which in the same time distinguishes him from the rest of his opus and keeps a strong bond with his overwhelming career. Steven recently compiled a vinyl-only compilation album titled “Transience,” which is scheduled to be released on September 25th via Kscope. Do you think that “Transience” can be considered as a compilation that introduces a listener to your solo career? Well that was kind of the idea. I mean, I think the the thing about my whole career in a way, is that although I’m not most known for writing short, direct pop songs, I do sometimes write them and some of them I’m very proud of, and so for me it was like a challenge to try to compile an album which would be, I guess, more like an introduction for somebody that perhaps isn’t so willing to engage with the more long-form tracks; somebody who perhaps is more familiar, more comfortable with direct song writing. You know, I do love writing more direct songs. I don’t think it’s what I do best and I find it quite difficult, but sometimes I do create something that I am very proud of that is more direct and perhaps it’s more simple and easy, I think, for somebody that’s not familiar with my catalog to enjoy. So I think the idea of “Transience” was, yes, to create an introduction to my world, if you like, by focusing on these short and more direct songs. What was your guide when picking songs for the compilation? Well, I think mainly they had to be reasonably short and they had to be more traditional in their structure, in the sense that they had to be more like traditional songs. You know, the verses and choruses, and relatively short, nothing too difficult, nothing too complex, nothing too conceptual. On every album there are one or two songs like that. So it was quite easy in a way to create a short list. Can you describe the new take on “Lazarus”? Well, when you say it’s a Porcupine Tree song, it is my song. [laughs] In fact on the original version of this release by Porcupine Tree there was only me and Gavin [Harrison] playing drums, we were the only people on the track. So in some respects, it has always been my song and it kind of felt very obvious to do that with my band, to do that song, because I am very proud of it and it was always very much a very personal song. It seems logical to include it on this album, because I had been playing it with my band on the last tour. So it’s a song, if you like, that I have reclaimed from the past, and kind of re-situated in the present. We record all our shows, so there were a number of versions of “Lazarus” being performed live on the last European tour. I listened through, and I picked what I thought it was the best one, and I did a little more work in the studio to finish it off. I think it works really nicely, I think it is one of my best pop songs that I’ve ever written, it’s always been one that I have been very proud of. 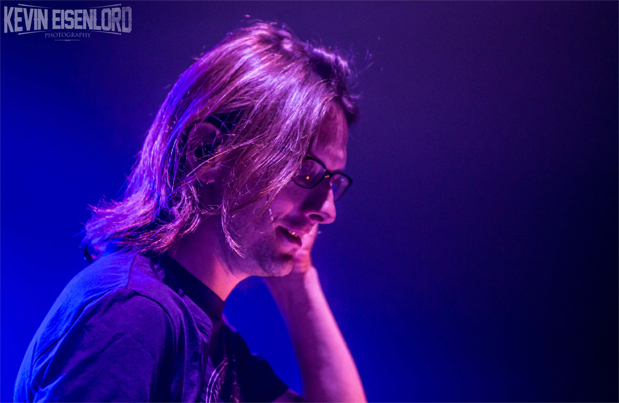 Will you be including any other Porcupine Tree songs in your setlist on future shows? I’m playing my songs, you know. Whether I wrote them for Porcupine Tree or Blackfield or for my solo work, it’s not relevant to me. But I understand the question you are asking. The answer is yes – I’m going back right across my whole catalog and all of the songs I’ve written regardless of what they were written for. At this stage of my life and my career I just feel that they’re my songs. It is not necessarily relevant to me whether they were recorded first by one band or another band, you know? Are you satisfied with reception you received for “Hand. Cannot. Erase.”? Yes, it’s been very well received, it’s best selling album I’ve ever made, and it’s probably the most critical acclaim for the record that I’ve ever had. Obviously I have to be very proud of that. The thing is I am always proud of every record I made, I wouldn’t release it if I wasn’t proud of it. Sometimes it’s difficult to predict if an album will connect with the audience or not. And I never really know, and I can never really guess that, so it is always very pleasing and very gratifying when an album really does seem to resonate very well with the audience, both the old fans and maybe new fans discovering my music for the first time. This record definitely seems to have done that, so yes, to answer your question, I am very pleased. I have an impression that “Hand. Cannot. Erase.” is the most lyrical album of your solo career so far. Do you agree and what’s your take on it? I think every record and every project for me comes firstly from the basic concept or the starting idea, whether the idea is to make a more pop record, a more electronic record, or in this case to make a more conceptual record which was more about, I suppose, nostalgia and the loneliness of living in a very large city like London, or it could be any city. Also to be writing from the point of view of a female character, a female perspective was a new thing for me. I think the story of the character, the kind of mood, the different moods of the character, the whole arc of the story – it suggests the certain atmosphere to the music which as you say, perhaps is more lyrical, more nostalgic, perhaps warmer. There is a lot of joy in this album as well, although the story has a kind of tragic ending. There is a lot of joy in this record, and lots of positivity and good energy as well. All that really comes from the original story, the original idea. I guess I am not really aware of that when I am writing the music, but of course all of those things do have a very strong influence on the music. 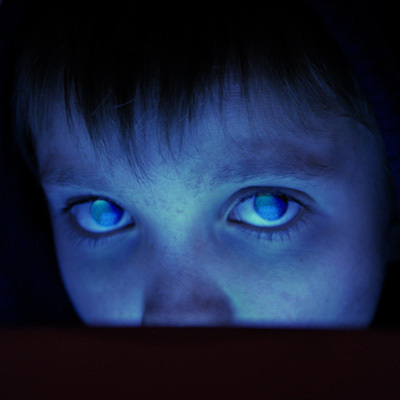 Which of Porcupine Tree albums you find the closest to “Hand. Cannot. Erase.” in terms of concept, songwriting or performance? I think conceptually the closest would be an album like “Fear of a Blank Panet,” because “Fear of a Blank Planet” was about isolation and alienation, particularly with regards to the modern technology of today, whether it is mobile phones or computers or computer games or social networking. FAOBP was an album very much about the way technology influences the way that we live, and particularly in that case it was more focused on young people, on the younger generation. There is a parallel with that record, because although this record (“Hand. Cannot. Erase.”) is more about an individual, whereas “Fear of a Blank Planet” was more general, about the whole planet, about the whole human race, if you like. This album is much more specific about one particular character. I think a lot of the same things are popping up; the loneliness of living in a modern world and the way technology can affect the way that we interface with other human beings and with the rest of the world. Musically FAOBP is a very different record, but there are certain things that I find I come back to over and over again throughout my career and this seems to be something that continues to passionate me, how technology effects the way that we communicate or not communicate with each other. 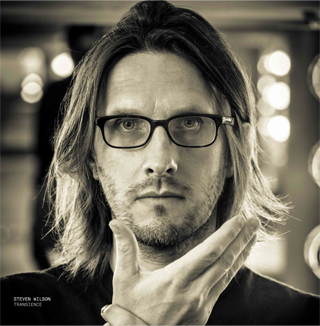 How do you usually go about choosing a subject that will make a story of a Steven Wilson album? What is it that must be there in order to make you choose a certain story for a record? Well, the simple answer is, I don’t choose the subject, the subject kind of chooses me. That sounds a little bit pretentious, but what I mean by that is that you don’t, or I don’t necessarily look for a subject to write music about. I just find that when I start writing music there is a certain “thing” that tends to come to the front, or establish itself. In this case I had seen a documentary film about a young woman who was found dead in her apartment, her body wasn’t discovered for two years. It is a real story of a woman called Joyce Carol Vincent, and I saw the movie, and it didn’t think “that’s what I’m gonna write my next album about”, but at the same time I carried her around with me, I carried this story around with me in my head. I guess you could say it’s kinda haunted me in a way. When a few weeks or a few months later, or however long it was, I started to write new music for a new record, I found I was writing about this character, this woman, so the subject had stayed with me. It kinda chose me or kind of made decision for me that I was going to write about this. It (the process) is not something I am really conscious of until I start writing. So I am very fortunate that the subjects kinda find me and, you know, right now if you ask me what I was going to write my next album about, for example, I have no idea at all. But I know that when I start writing, something will come to the front of my mind and hopefully establish the pattern and the subject for the record. What is your opinion on people having expectations when it comes to a new release of an artist? Many people expected certain vibe in the music of “Hand. Cannot. Erase.” after “The Raven” album, but your answer on that was somewhat harsh, I think. There is still very interesting and strong instrumental work on “Hand,” but your decision was to slow down a bit with the new record. What can you tell me about it? I think the thing for me is that I don’t like to repeat myself and I like every record to have a reason to exist. If I was just going to make another record the same as “The Raven that Refused to Sing” – which was a very popular record, it did very well for me – but I couldn’t see the point of just making more music like that. So it’s important to me with every record to feel like there is a sense of reinvention, something new, something to make it interesting for me and something to justify doing it at all. Because what is the point of doing just another version of what you already did. It is also important to me, and maybe this is what you mean when you say that my answer was harsh – I don’t listen, I don’t care what the people expect. I don’t think any real artist should ever, ever, ever consider what the audience expects from them. Because the moment you do that, you have compromised your creativity. You start thinking about what people want and you stop thinking about what creatively is the natural next step for you to make. I think that if you do consider yourself to be an artist, and I do, that one of the definitions of being an artist is that you create the art primarily to please yourself, and you don’t consider an audience. If you want to be an entertainer, that’s a very different thing. An entertainer is someone who always considers what the audience wants. I can’t do that, I can’t be an entertainer. That’s one of the reasons why I am not as successful as maybe I should have been, it’s because I’m not very good at giving people what they want. I find that whole notion to be very anti-artistic, if you understand what I mean. However, I’ve been fortunate that my fans have tended to follow me through all these different phases, through all these different styles and I am very lucky in that respect. The internet or computing generally, if we just take the whole subject of computers, they have changed our lives. Like many things that come from the world of technology and innovation, they are only as good or bad as the way that human beings choose to use them. There are many uses of computing and Internet that for me are negative, but there are also a lot of incredibly positive things. For my particular kind of music, not mainstream music, it is music you have to search for, you have to find it because it doesn’t exist in the mainstream. You have to go to the underground to find my music, to an extent. I am a little bit more visible than I used to be, but still I think my music is very much off the radar for most of the people, so you have to find it. One of the greatest tools for spreading music outside of the mainstream is the Internet and the social networks. It’s fantastic, because it means that I can reach hundreds and thousands of people without having to worry about radio, television and press. I can find an audience, and I can share my music directly with my fans without having to worry about that kind of other layer, if you like. That’s very different to the world of the music business that I started off in twenty years ago, a business where you still had to very much rely on the press, the radio stations and the TV shows to share your music, to spread your music. Obviously that was really difficult for me, because my music was not obviously commercial in that way, so, for me the internet has been a wonderful thing. I think one of the reasons why I am still here today, it’s because my music has spread through those things. At the same time, you also have to acknowledge that the internet, social networking have also largely destroyed the market of physical music. As the internet has made things easier it has also made it harder. This comes back to what I said originally, it’s to do with how human beings use the internet. There are good things about it, and there are bad things about it, but obviously we have to embrace it because this is the world we are living now. Are there any plans to bring the band to countries you have never played before? I would love to, you know. I think there are certain ambitions to go probably not this year, but early next year, to go to places like Turkey, Israel, Bulgaria. Those kind of places you are talking about, right? Oh okay, yes, well in that case the answer is yes. We are definitely hoping to go to Turkey, I think in the Spring, nothing is confirmed yet, but that’s my plan. One of the issues I have with the show is the show is very expensive to put on because it’s such a kind of multimedia show, with the films and the screens and the quadrophonic sound, it’s not something I can just go and do unless I can be sure of a certain number of people coming to see the show and a certain number of tickets sold. It’s not the easiest show to stage, but I think definitely the plan is to bring it to Turkey next year, yeah. You mentioned that you will have special guests on your two-night residence at the Royal Albert Hall. Can you reveal any names? No! Surprise. I want it to be the surprise. The two shows are completely sold out anyway, so I think there is no need for me to announce the names to try to sell tickets. So in that respect I think I do like it to be a nice surprise on the night, for the people that come. What are your future plans when it comes to remixes and releases? I am always remixing classic albums from the 70s and 80s, I am always doing stuff like that. I am getting more and more requests to do those things, which is great because I love to do them, there is always that stuff going on. In terms of my own career, there is going to be an EP or a mini album or some songs that I wrote during the “Hand. Cannot. Erase.” period which didn’t fit in, didn’t kind of fit in conceptually with the record. We’ve already started working with my band to finish those off, and I think that will be out probably in January, beginning of next year. That is my next creative thing, and then to start writing the next record, because it’s been about two years since I finished writing “Hand. Cannot. Erase.” already! It’s amazing amount of time how the time passes and flies. So I will probably start to think about the next album, pretty soon, after this tour I think. 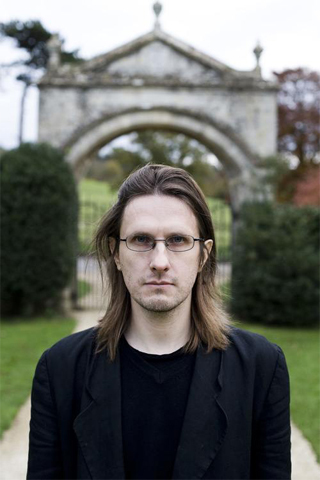 It seems Porcupine Tree is now history, are you relived that for the most part, your fanbase has allowed you to move on? You know, I think for me Porcupine Tree started as a solo project, it became a band, but it was always in my control and I always wrote the songs. For me, this solo career just felt like a continuation of that, in a way. It allowed me to work with some different musicians and to explore some different musical avenues, but it is not that different, is it? It’s still my songwriting, my voice, my production. I don’t think there was a big change for the fans to get used to. I think the biggest change was that I dropped metal pretty much completely from the sound, but that would have happened anyway. That would have happened with Porcupine Tree because I was just bored with metal. Even if Porcupine Tree had done another record, there would have been no metal. I think those kind of things that you hear in my solo albums would have been also the kind of developments…(applied to Porcupine Tree). So I think maybe that’s why the fans have come with me, because I don’t think it’s been that much of a stylistic departure. A lot of people say to me “Hand. Cannot. Erase. is the one that sounds most like it could have been a Porcupine Tree record to me,” and I can understand and see why they would say that. “Transience” is out on September 25th via Kscope, pre-order it here.